Panama at a Glance is for those who basically want to see the BIG DITCH and that is it. This tour includes a city tour, a Panama canal Zone tour and the thing you waited all your life for ... a full Panama Canal Transit. This is a great tour for those who are just looking to go somewhere neat for a long weekend and have a great story when they get back. Day 1, Thursday - Arrival at Tocumen Airport and transfer to the hotel. 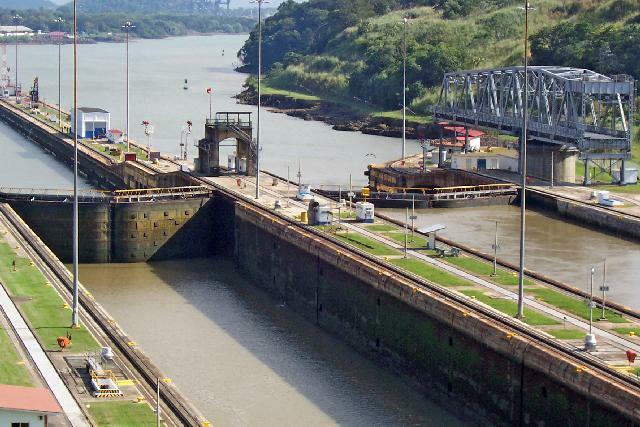 Day 3, Saturday - On our full Panama Canal transit, the vessel departs from the Pacific port at 7:30 a.m. sharp and usually returns to the Pacific port around 6:30 p.m. depending on traffic in the canal (and on the highway). See About our Transits. Buffet aboard the vessel. NOTE: Full transits can be substituted for partial transits. See our transit schedule. If return airport transfers occur before restaurants are open in any hotel, breakfast, although indicated on itinerary, will not be included that day.